I think this is sometimes called inside information. The tips, tricks, short cuts, details and secrets that people know, but may not share because of the power of the knowledge. The not sharing part is part of human nature, but is based in fear. You may have to tag or label your fear to embrace what it is for you, if this is still a big challenge for you, but for me it was fear of lack. I was afraid that if I shared the knowledge, I was somehow giving away something. That somehow my power or control was being lost. But I've come to understand that sharing information doesn't make us weaker, it helps us build strong trusting teams, who work together to raise the tide. When the tide rises, all ships rise together. I am confident in the knowledge that my knowledge is abundant. I have more than I need. The store house is bursting at the seams, and the doors need to remain swung fully wide open. I am also still needy. I am hungry and thirsty for more. I certainly don't know everything, and, even those things I think I get, often I find other perspectives or more clarity only over time and interaction. Reading books like The Slight Edge, Think and Grow Rich, and How to Win Friends and Influence People are certainly paths, when studied, that lead to deeper understanding and needed specialized knowledge. But, nothing compares to collaboration and mastermind. And, even with all of these resources at our disposal, none of it will matter without a crucial final ingredient. Action. At some point, based upon our desires, we have to set goals and start moving. We have to have the faith to proceed even when we do not have all of the evidence. 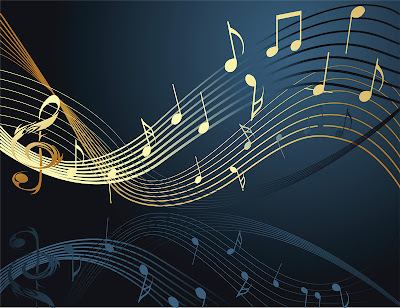 Knowing what the music is, what it sounds like, how it is composed, and even how it is performed is all useless, unless it is actually performed. Do not let the show conclude and find you didn't play your masterpiece.